I was born and raised in Denmark. Always an explorer of creative expression, growing up I would spend hours in my room drawing, painting and writing and later attended classes in any creative discipline I could find. In my mid twenties I completed a bachelor degree in Graphic Design (2002). This led to a committed practice of painting, born from the urge to break free from strict guidelines and conventional design, into a language of free expression. Moving to Australia in 2005, I have held regular solo and group exhibitions and have been a finalist in a number of art prizes. Pursuing my interest in human psychology and behaviour, I completed a Bachelor of Applied Social Science (2010) and worked part time in the field of mental health and career development for a number of years, until art became a full time practice in 2016. The abstract expressionist movement, as well as systems theory, chaos theory and the notion of happen-stance, have been major influences on my practice. It has pushed me towards raw spontaneous visual expression and continues to inform my work. In 2017, having collected old and odd objects for years, I had my first exhibition of assemblage work. I continue to explore new approaches and have come to understand myself as a multidisciplinary artist. In creating there is freedom. It is an opportunity to withdraw from the busy world and let my subconscious express itself, without the restrictions or demands of the mind. It’s a place where I allow the process to unfold of its own accord and enjoy the untold stories that arise spontaneously. Letting go is a constant practice and I am committed to letting the unknown continue to enrich me. By nature I am reflective – I observe and question the world and our roles in it. The artworks allow for quiet contemplation and wild rides, tapping into memories and conjuring imaginary landscapes and new questions. I am the curious observer – honouring the drive that continues to pull me forward to explore this bizarre and wondrous world we live in. It’s important for me to keep exploring and expanding my practice and I love introducing new materials and approaches in my work. In 2017, after having collected old and odd objects for years, I had my first assemblage solo exhibition. This new area of my work allows me to build stronger concepts around my art. I find I can dwell deeper into my interest in human psychology and address subjects close to my heart relating to my curiosity about human behaviour. 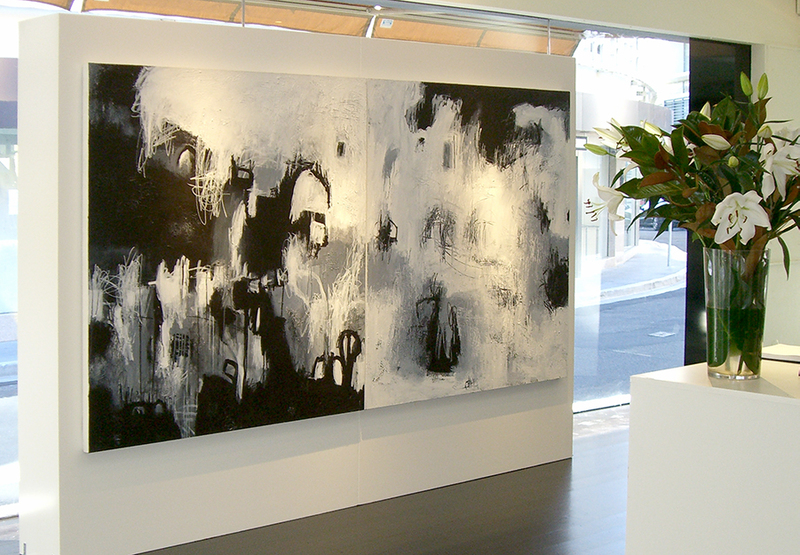 2016 Fresh Batch Platform72 Art Gallery, Sydney. 2016 Finalist Warringah Art Prize. 2007-2010 Bachelor of Applied Social Science, Australian College of Applied Psychology, Sydney.